on Saturday 2nd May, from 9:30am-12.00 am, Caroline Carr will be running a workshop on “How to get your feedback really working through reflection” – download details here. “This 1/2 day workshop will look at maximising your coaching feedback through reflective questioning that links to the double-loop learning model. This session will look at theoretical concepts and put them into context in a practical open water environment to extend your coaching toolbox”. 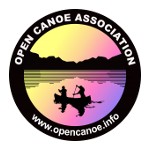 Bring: Your own questioning & feedback template, an open mind, open canoes and paddling. This workshop will take place both on and off the water and will give the opportunity to work collaboratively to develop & share your own coaching practice.